July 22, 2010 - Garmin a global leader in satellite navigation announced that it is developing a new stability augmentation system called Garmin’s Electronic Stability and Protection (Garmin ESP) system. This electronic monitoring and exceedance correcting technology for G1000 and G3000 integrated flight decks works to assist the pilot in maintaining the aircraft in a safe, flight stable condition. Helping in certain situations to prevent the onset of stalls and spins, steep spirals or other loss-of-control conditions should the pilot become distracted, disoriented or incapacitated during flight. Garmin ESP functions independently of the autopilot, and operates “in the background” whenever the pilot is hand-flying the aircraft. Garmin ESP gently nudges the controls back towards stable flight whenever pitch, roll or high-speed deviations exceed the recommended limits. Garmin ESP will then disengage when the aircraft returns to its normal flight. High and low airspeed protection will also be available with Garmin ESP while pilots are hand-flying the aircraft. If a Garmin ESP-equipped aircraft approaches the aircraft’s speed limits (VMO or VNE), Garmin ESP engages and applies force to the control yoke to increase the aircraft’s pitch attitude and prevent a further increase in airspeed. Garmin ESP also has built in parameters to prevent the aircraft from exceeding G-limit load factors upon pullout. In high performance aircraft with angle of attack/lift sensors, Garmin ESP offers low airspeed or stall protection that reduces the probability of stalling the aircraft by providing a gentle pitch-down control force through the control yoke when the aircraft’s wing approaches its critical angle of attack. 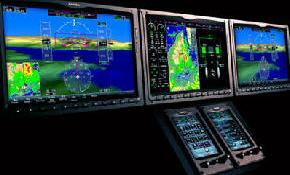 Garmin ESP will be offered as an option on select G1000® and G3000™-equipped aircraft. The implementation and functionality of Garmin ESP will be determined by individual aircraft manufacturers. The retrofit G1000-equipped King Air 200 will be the first aircraft to receive Garmin ESP later this year and it will be available at an expected list price of $17,995.